The baby will need dozens of baby clothes for daily use and for outdoor use. 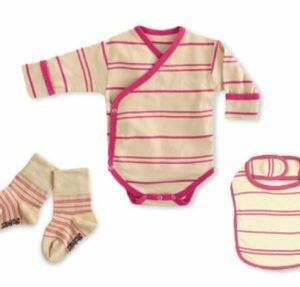 To help you pick the right items for a baby first-month gift of baby clothes, you should consider the gender of the baby, season and weather when the baby will be born, and the uses of clothes. If you are giving baby clothes for daily use at home, you may prefer comfortable, cool or warm clothes depending on weather. There are jackets and sweaters, too, for winter days. Pajamas, onesies, and undershirts are also necessary and should be ready and available in the baby closet before the baby arrives. Aside from baby diapers, there are also several diapering must-haves that the parents should have before the baby arrives. 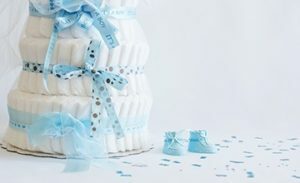 If you are looking for baby shower gifts to buy for the baby showers, here are some of the best gifts to pick: changing mat, diapers in various sizes, diaper rash cream, soft washcloths, baby wipes, diaper bag, and washable diaper cloths. Moms also prepare for the baby’s nursery and these items are what she needs. Before you shop for newborn hampers , check these nursery items that you can add to their collections and preparation: nightlight, baby monitor, rocking chair, humidifier, organizer, dresser, and baskets for toys, diapers, and used diapers. For your baby hamper delivery for baby shower gifts, you may also want to buy bath items. They are essential and necessary for baby’s daily needs. The parents should have these things ready and available before the baby arrives, and even if the parents already have them, adding some to the supplies is never a problem. Now that you have an idea of what things the soon-to-be mom and dad should have for their precious little one, picking the best Baby Hamper will no longer be a problem. These items are definitely useful and within your budget.